111 residents attended a consultation arranged by Acorn Property Group at the Unionist Club yesterday. This was the first public presentation of Acorn’s early proposals for development on land to the south of Brewham Road. Bruton Town Councillors were invited to a separate earlier consultation (shown in the picture). The Council has not yet discussed the proposals, so it does not have an opinion as to their merits. However this development is on one of the sites that the Council has identified as potentially suitable for housing development in our 2017 Town Plan. 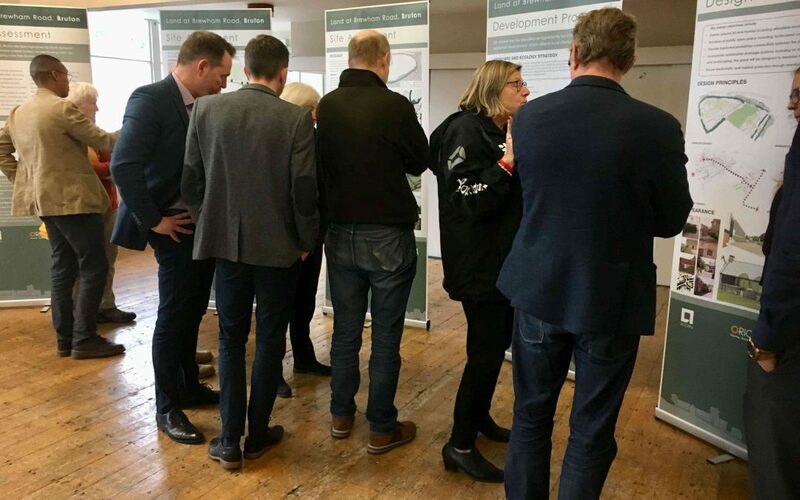 Although the Council has not yet formed an opinion on these proposals we think it important that as many residents as possible know of them and have the opportunity to comment. Those who were not able to attend can view Acorn’s presentation here. To give direct feedback to Acorn email at info@origin3.co.uk.